The tech boom has resulted in an insatiable appetite for qualified web developers. Programming skills have become the golden ticket to accessing high impact, high paying jobs. Coding bootcamps offer a compelling value proposition - highly immersive, project led curricula focused on training students with the skills needed to land a job as a junior developer. We'll discuss online, one-on-one mentor led programs, as well as our career support. 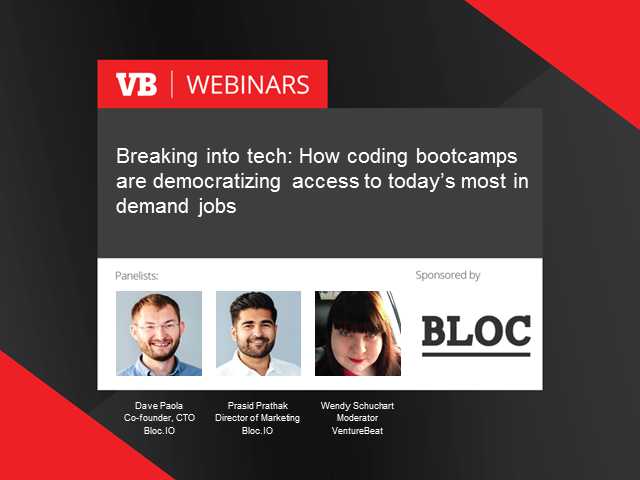 We'll also answer your burning questions for how you can start your lucrative career in tech. * Research the next step for your future in coding, whether you want to build apps, games or mobile-driven on-demand services.